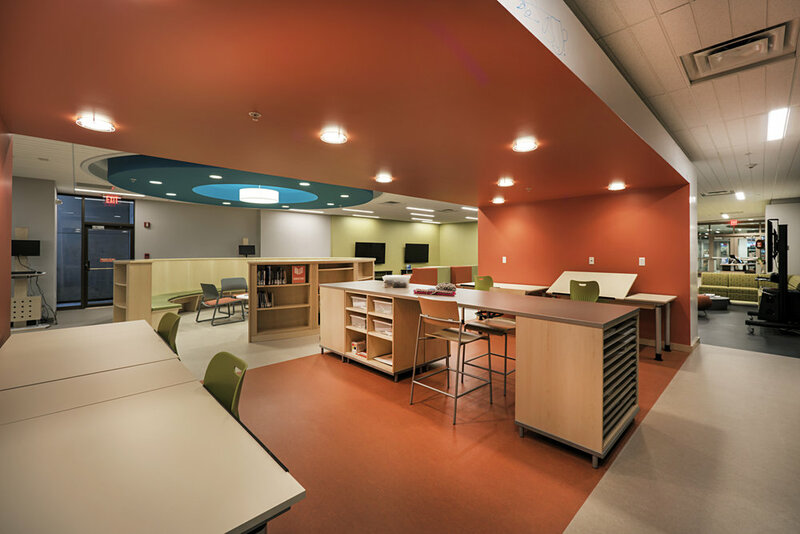 The Monroe County Public Library Renovation responds to current trends in best library practices. Recognizing that libraries today serve many more demographic groups and functions than the traditional library, the Monroe County Library project includes a new Digital Creativity Center and a new Teen Center, as well as renovation of the Library’s Auditorium, Bookstore, Children’s Programming Room, Community Outreach offices, Movies & Music Collection, Meeting Rooms, Collection Services, and Information Systems Offices. 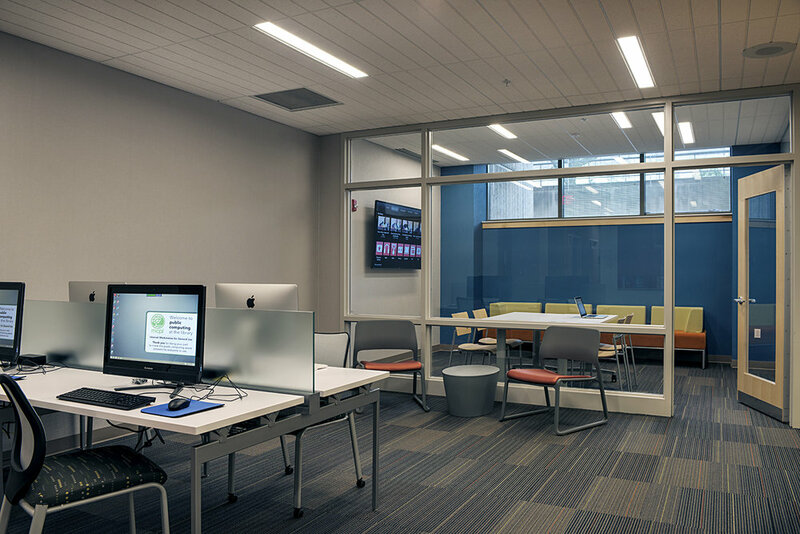 The Digital Creativity Center and Teen Center provide state-of-the-art technology learning and activity spaces. Collaborative and independent learning underpin the functional structure of these spaces. 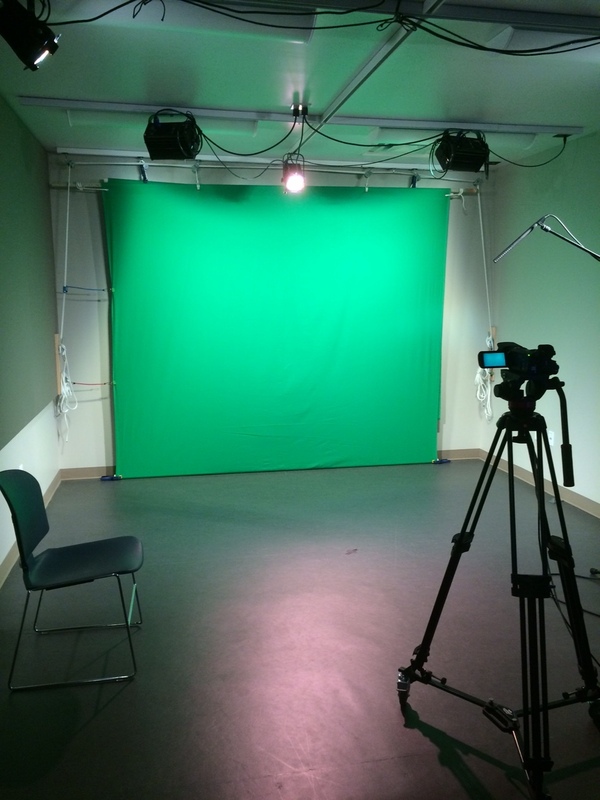 The Digital Creativity Center houses a film production studio, recording booths, and individual and collaborative editing work stations. To engage the teen audience the Teen Center encourages social interaction through a variety of gathering spaces. 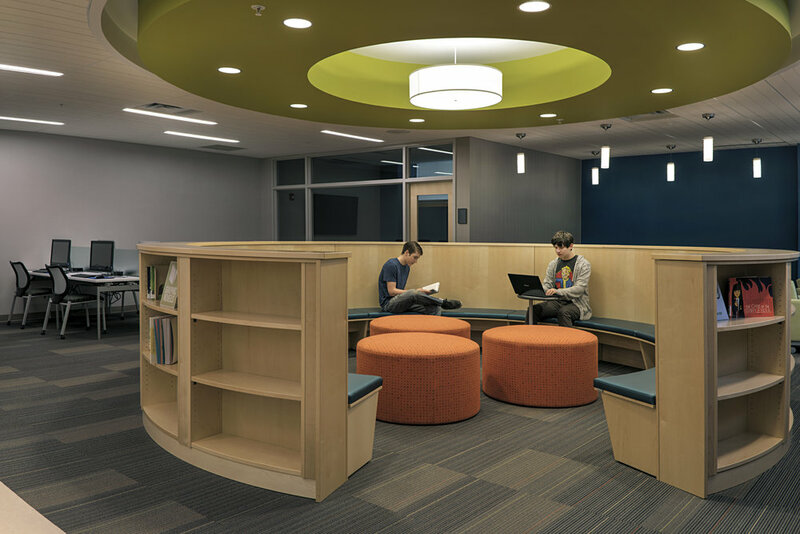 A café area, a gaming area, a graphic design studio space, collaborative learning zones, and quiet reading areas capture the teenage imagination with new ways to learn. 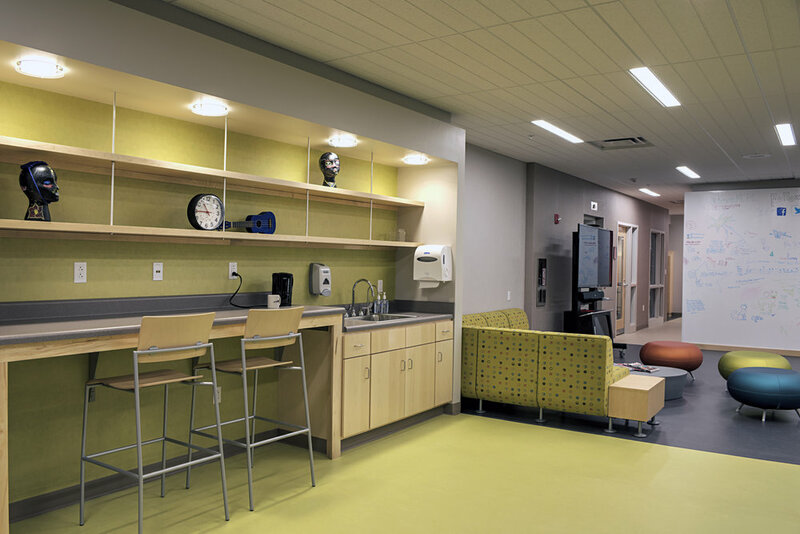 Moveable stackable seating cubes in a performance area and mobile furniture throughout the Teen Center provide teens the opportunity to re-shape the space to their liking. The space offers s both high tech and hands-on learning devices.